1880 Indian Head cents are quite common and are collected by Indian Head penny enthusiasts as well as type collectors who would like a 19th-century example of this series for their coin sets. Generally speaking most Indian Head cents from 1880 through 1909 are quite common. 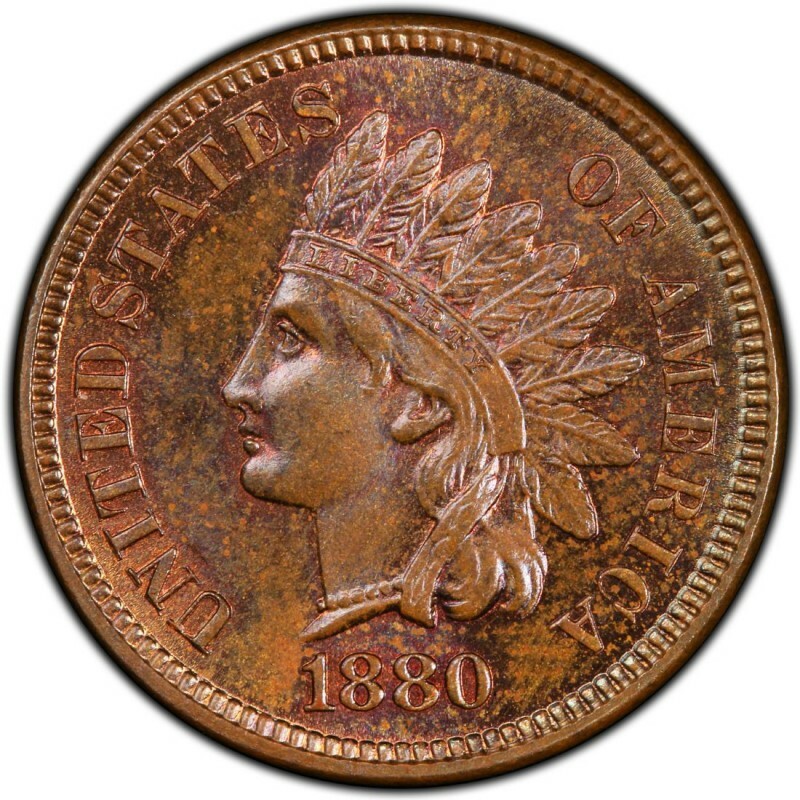 In fact, 1880 pennies are among the several dates that coin collectors often find in mixed-date rolls of common Indian Head pennies. 1880 Indian Head pennies were made in vast numbers. 38,964,955 were made, and while not all of these survive today, there are still more than plenty to satisfy the current demand from coin collectors. In a grade of Good-4, an 1880 Indian Head penny is worth about $3. Proof specimens, of which only 3,955 were struck, are worth $1,250. 1880 Indian Head pennies bear a design by James B. Longacre that first debuted in 1859. Longacre served as Chief Engraver of the United States Mint from 1844 until his death in 1869. Longacre’s daughter, Sarah, was the model for the figure on the Indian Head penny, which actually depicts a representation of Miss Liberty. 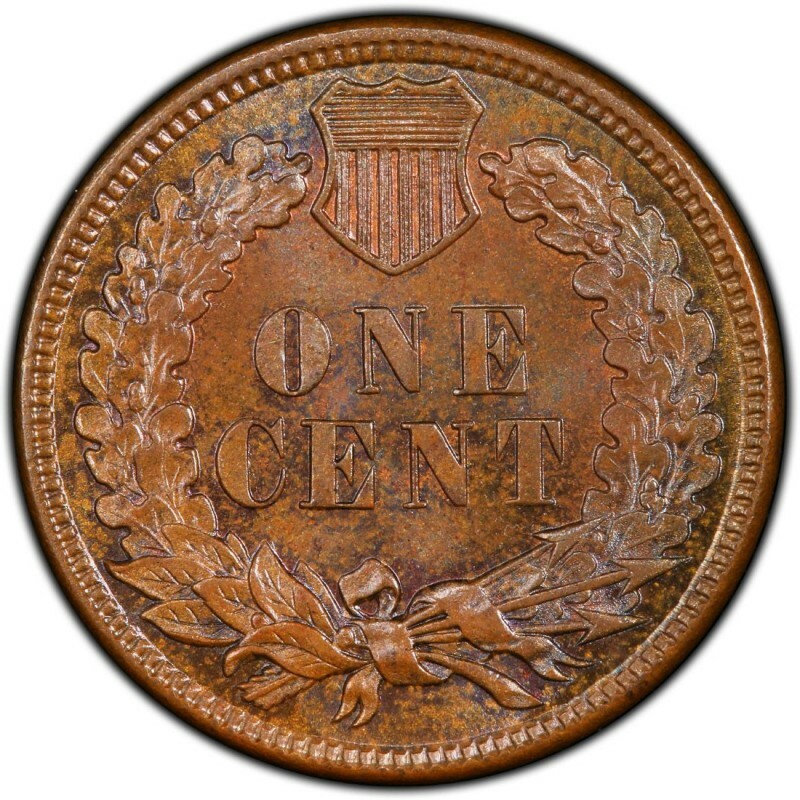 Among his most notable designs, aside from the 1880 Indian Head cent, include the two-cent piece, which struck from 1864 through 1873. This coin is perhaps most famous for being the first U.S. coin to bear the motto IN GOD WE TRUST.